The soul of Indian chaat is how i'll describe this chutney. Mostly used as a dash of garnish, the tang in the tamarind brings together the flavors unlike any other. And the innate versatility of the same lends to it's wide usage. 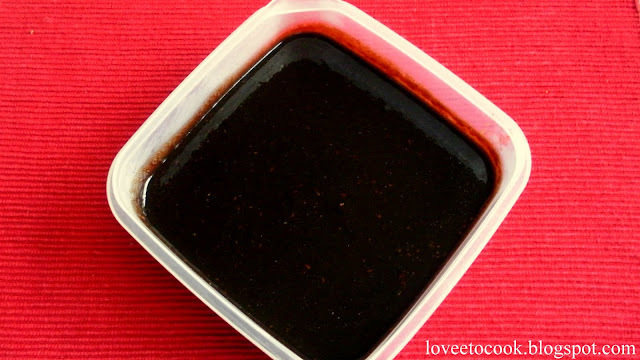 Soak the tamarind in some water and microwave for 2-3 mins. Let it cool and strain the pulp out. To the pulp add rest of the spices and bring to one boil.Add some water to loosen consistency. Use it to garnish over samosa chaat , dahi bhalle/ bade and the likes..i lately tried some over nachos too.